So, as I recall it was last summer when Kindle books began beating out purchases of Hardcovers on the Amazon site. This was a big deal because it illustrated for people that eBooks were pretty clearly here to stay in a way that previous announcements of numbers (not that Amazon was the company making any involving numbers) and vague statements about the future of the industry couldn’t do. Now, Amazon(NASDAQ:AMZN) has issued a release announcing that in addition to achieving their first ever $10 Billion quarter, Kindle books are now outselling paperbacks by a fair amount. Specifically, there are 115 Kindle Editions going out for every 100 paperbacks. There’s really no way to significantly top that as a milestone, that I can think of. From here on out, it’s all going to be iterations of the same. “Twice as many as paperbacks” and that sort of thing. A similar bit of info was put into the press release to tell us that over the same period as that being measures for that comparison with paperbacks, Kindle books outsold hardcovers by a factor of three. So, yeah. Big year. Now, Amazon has a reputation for only giving us rather fuzzy numbers when it comes to anything having to do with the Kindle. We know that Kindle device sales numbers for the most recent generation are in the millions, but no more than that other than that they’re a bigger seller than the ever popular Harry Potter and the Deathly Hallows. Nice to have some sort of reference point, of course, but hardly anything you can do specific analysis with. Regardless, some other points of fun information were included as well. There are now over 810,000 Kindle Editions for sale through the Kindle Store(and that excludes all free books, since that would bring it up into the millions). Of those books, over 670,000 are available for under $10. While I would love to have solid numbers on the Under $5 range, that’s still encouraging. Wider acceptance means better selection and hopefully more opportunities for readers. Maybe next year, Amazon won’t have any reason to point out that their sales number comparison didn’t exclude books with no Kindle Edition counterpart because that will be so rare as to not be an issue. Ok, yeah, that one’s probably a good way off yet, but it’ll be nice when we do see it. This entry was posted in Amazon, Kindle Book Count, Kindle Books, Kindle News and tagged amazon press release, Kindle Editions, kindle vs paperbacks, sales numbers by matthew. Bookmark the permalink. 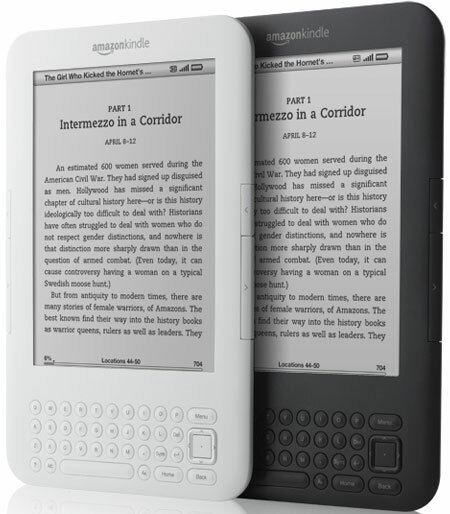 (1) The announcement that Kindle e-books were outselling hardcovers came in July. (2) The next milestone (and I think it’s actually the most important one) is when e-books outsell all print books (paperbacks and hardcovers combined). E-books at Amazon U.S. are at 45.5% now, according to my calculations. I agree with your premise, Patrick, but not necessarily with your conclusions. Remember back to the earlier announcement that said Kindle books were outselling hardcovers 3 to 1. Assume for a moment that this holds true, though I would guess that the gap has gotten a bit wider in the months since then. That would mean that for every 115 Kindle books, approximately 140 printed books are sold(rounding up), at most. So…probably not quite there yet or we would have heard, but definitely not far off and probably not much of a milestone of progress if you assume that such things are meant to provide potential customers with insight into significant changes in relative popularity. At least, that’s how I see things.